Gatto Lamp Small by Flos. The magnificent Gatto Piccolo Table Lamp is a classic! Designed by the wonderful Achille Castiglioni in 1960 for Flos. This brilliant table lamp looks wonderful whether its switched-on or switched-off. White powder coated internal steel structure sprayed with a unique "cocoon" resin to create the diffuser which is then protected by a transparent sprayed on finish. Flos Gatto was designed in the 1960s by Achille Castiglioni. Flos Gatto is a table lamp providing diffused light. Flos Gatto has a white powder coated internal steel structure sprayed with a unique "cocoon" resin. This creates the diffuser of Flos Gatto which is then protected by a transparent sprayed on finish. 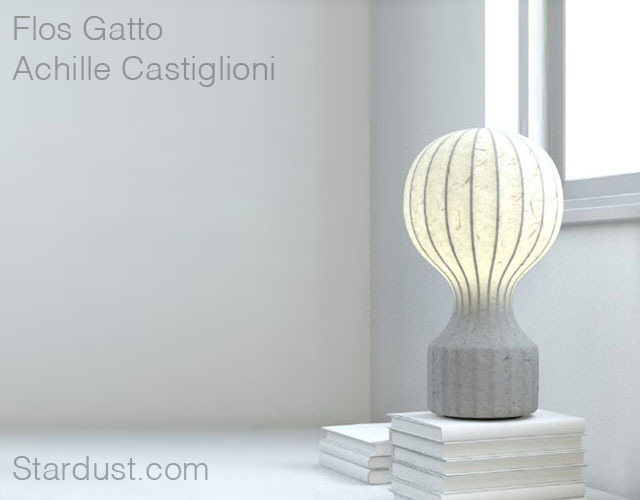 Gatto is available in 2 sizes: Flos Gatto and Flos Gatto Piccolo also nicknamed the Gattino Lamp. Intrigued by the special material of Flos Fantasma? It is after all Flos' trademark. Curious about other models in the same material? Flos has several designs in the same style. More information about the Zeppelin, Taxaracum, Viscontea or Fantasma. 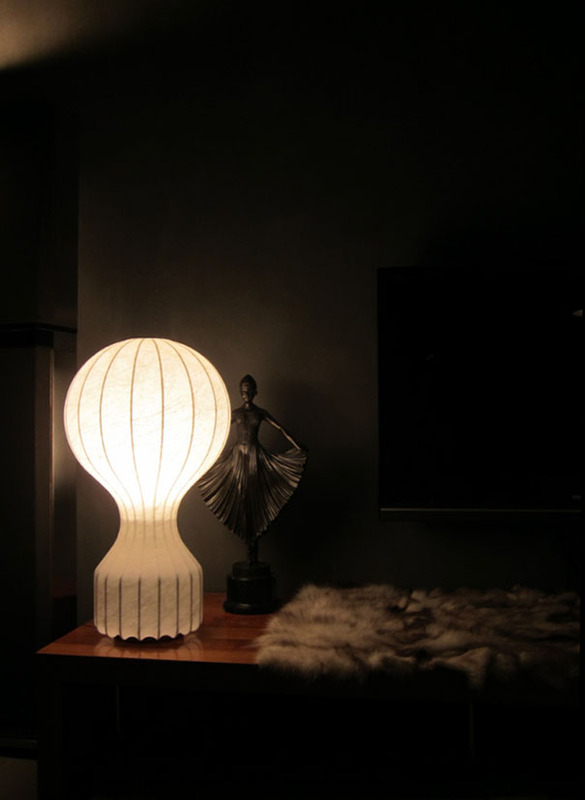 This lamp was designed by Achille Castiglioni who was a renowned Italian industrial designer. He was often inspired by everyday things and made use of ordinary materials. He preferred to use a minimal amount of materials to create forms with maximal effect.